Headlining The Big Top are renowned Malian desert blues four-piece Songhoy Blues on Friday and Steeleye Span, led as ever by Maddy Prior, who are celebrating their 50th anniversary in 2019 will headline Sunday night. Also announced today for The Big Top is Yorkshire’s Kate Rusby one of the finest interpreters of traditional folk songs and one of our most emotive original songwriters, plus one of the most exciting voices in contemporary folk – Kate Stables AKA This Is the Kit, activist, broadcaster and musician Tom Robinson, Irish singer Cara Dillon performing Hill of Thieves on its 10th anniversary and Fisherman’s Friends who are soon to be the subject of a film based on the remarkable true story of Cornwall’s unlikeliest exports. Completing The Big Top line-up is multi-award-winning Scottish songwriter and musician Karine Polwart, plus the unique Grace Petrie who is currently on tour supporting Frank Turner, Westcountry duo Sound of the Sirens whose new album This Time is out now, Canadian singer-songwriter Old Man Luedecke, Dorset folk/punk band Black Water County, The Leylines and festival favourites The Bar-Steward Sons Of Val Doonican who present a ‘Sunday Service’ with special guests. The first acts announced for The Little Big Top are The Craig Charles Funk & Soul Club back by popular demand, London duo The Correspondents, plus Chali 2na & Krafty Kuts – American rapper and hip-hop artist Chali 2na (Jurassic 5) with producer/DJ Krafty Kuts, plus Future Flex, Shaka Loves You, hip-hop duo Too Many T’s, psy/trance/techno phenomenon Eat Static, one of the music industry’s most maverick innovators Toby Marks aka Banco De Gaia and family rave Big Fish Little Fish. 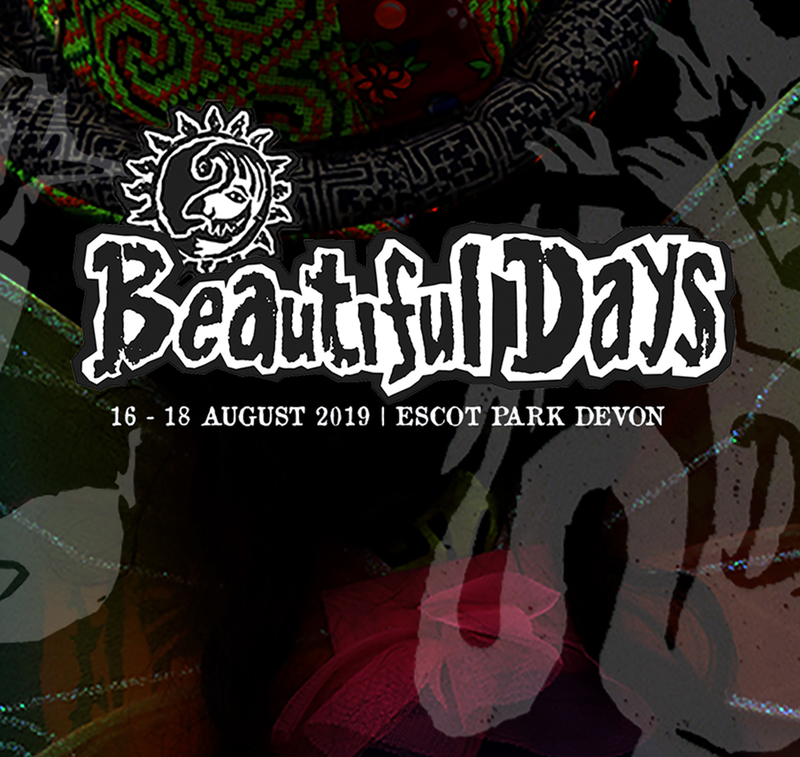 Beautiful Days has never just been about the music though – festival has a seated Theatre Tent, walkabout performances, site art installations, a vast array of food & crafts stalls and real ale bars run by local brewers Otter Brewery. We will welcome back Frank Water in 2019. They served nearly 3,500 litres of water into reusable bottles at the festival last year – potentially saving nearly 7,000 single use plastic bottles from going to landfill or into our oceans and we will be aiming to improve on that in 2019. Thank you to everyone whose completed the FESTIVAL SURVEY for us, we really do value your comments and answers. If you haven’t done it yet, there is still time. We are not sharing information with anyone, the survey is for us to better understand you and improve the festival where we can.